If your health fund covers cross linking (Medicare item number 42652) then you can have your procedure done with NO GAP for Dr Cronin and NO GAP for the anaesthetist. You will be able to have most of your treatment done while you are lightly sedated and sleeping at the South Bank Day Hospital. The cornea is the clear window at the front of the eye. It normally has a nice regular shape like a soccer ball. Keratoconus is a degenerative disease of the cornea where it slowly changes shape from being round like a soccer ball to being shaped more like a cone. This irregular shape causes astigmatism which distorts and blurs your vision. Normally astigmatism can be treated with glasses, however, in keratoconus the astigmatism is too irregular for glasses to fix so special keratoconus contact lenses are required. Keratoconus affects up to 1 in 1000 people depending on the racial group. It generally appears in the late teens to early twenties and tends to stabilise by age 40. Traditionally 1 in 4 people with keratoconus needed a corneal transplant. Whilst this is an effective treatment, corneal transplants can reject and fail. Thankfully with modern treatment, newly diagnosed patients will only very rarely need a corneal transplant as we can now halt the progression of keratoconus and even remove the corneal irregularities with laser surgery. 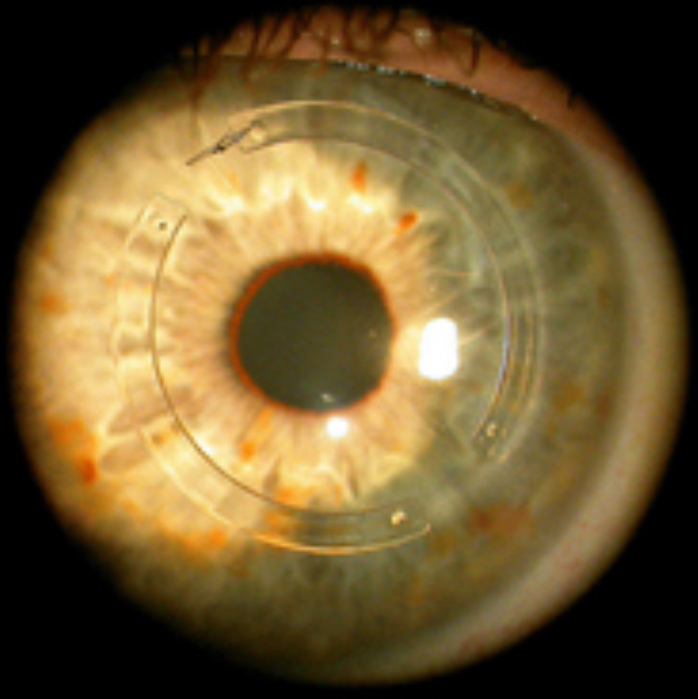 Most patients with keratoconus require specially fitted contact lenses to have good vision. These contact lenses should provide excellent vision but do not treat the actual disease. Generally, specially trained contact lens optometrists are required to fit theses lenses. These optometrists have the specialised equipment and expertise to fit complex contact lenses for keratoconus. Patients with worsening keratoconus can have their progression halted with this procedure. Collagen cross linking works by using a reaction between UV light and a riboflavin to create strong, permanent bonds between the collagen layers of the cornea. This substantially strengthens the cornea and stops the progression of the disease. The procedure can be performed as an outpatient if you do not have private health insurance. This means you can maximise your medicare rebates with the medicare safety net. If you have private health insurance then you can have you cross linking performed with NO GAP at South Bank Day Hospital. This involves using an excimer laser to “resurface” the cornea and remove the irregular astigmatism that causes the reduced vision in keratoconus. This is called a phototherapeutic keratectomy and it leaves the cornea with a nice regular shape. Immediately after the laser resurfacing has occurred the cornea undergoes collagen cross-linking. This strengthens the newly resurfaced cornea to keep the new regular shape. If you have appropriate health insurance then this can be performed at the South Bank Day Hospital. Corneal transplant in patient eye. These small implants are inserted into your cornea to pull the keratoconic cornea back into a better shape. This reduces your astigmatism significantly. The aim of corneal segments is to reduce your astigmatism and myopia enough to give you good vision with glasses as opposed to rigid contact lenses. These implants are inserted through a small tunnel in the cornea that is made with a femtosecond laser. With all of the other treatments available this is a last resort treatment for NEWLY diagnosed patients but is still a very common procedure for patients who already have severe keratoconus. New partial thickness corneal grafting techniques such as Deep Anterior Lamellar Keratoplasty (“DALK”) have much lower rejection rates than traditional full thickness or Penetrating Keratoplasty procedures.